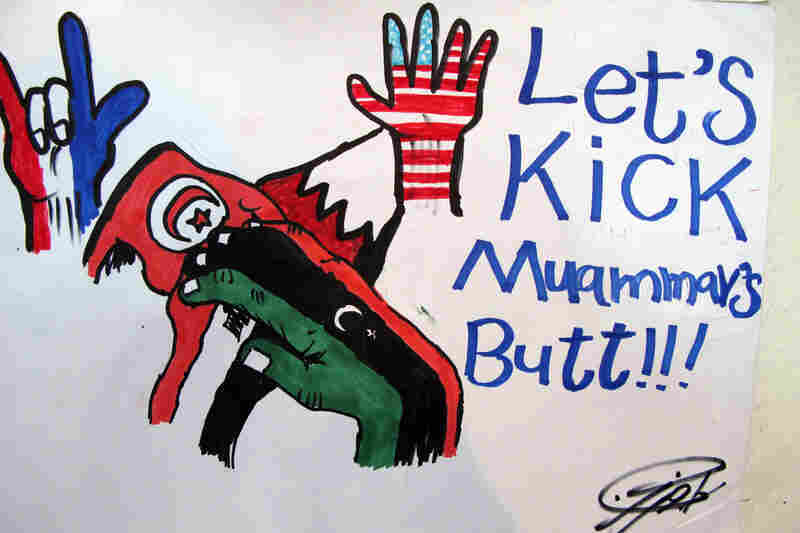 Young people are heavily involved in the uprising now under way in Libya: They are members of the rebel military; they are working to help form a new government; they are also producing revolutionary artwork, publications and music. On any given day, you can find at least a few of Benghazi's young and restless in a large, empty cement lot off one of the city's main thoroughfares. 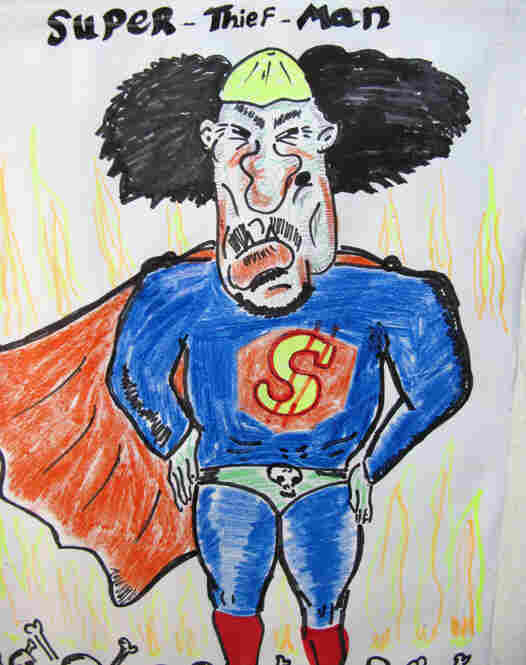 Cartoons and sketches of Moammar Gadhafi are popping up across Benghazi. 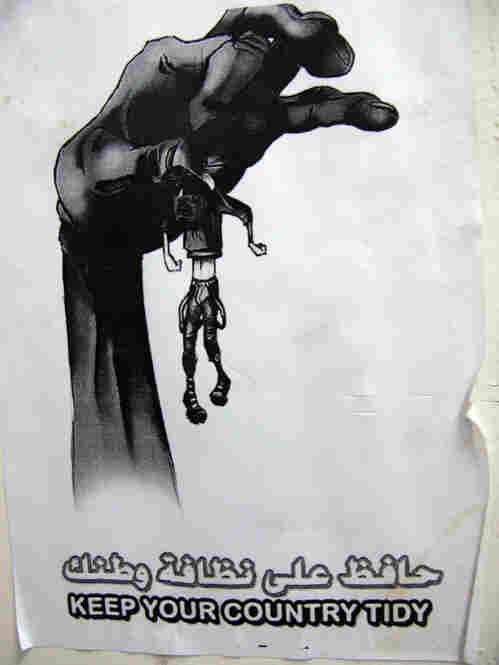 Many are the work of cartoonists working at the Media Center for the 17th of February Revolution. In the late afternoon, young men gather to see just how much tire rubber they can burn. Fishtailing Toyotas leave a smear of swirling, smoking, sticky blackness on the pavement. From a hotel room high above, the streaks appear like some kind of postmodern design. About a mile away, just off Revolution Square, more substantive creations are taking shape. This is the Media Center for the 17th of February Revolution — a dingy, dog-eared building bustling day and night with frenetic 20- and 30-somethings trying to process what's going on in Libya. 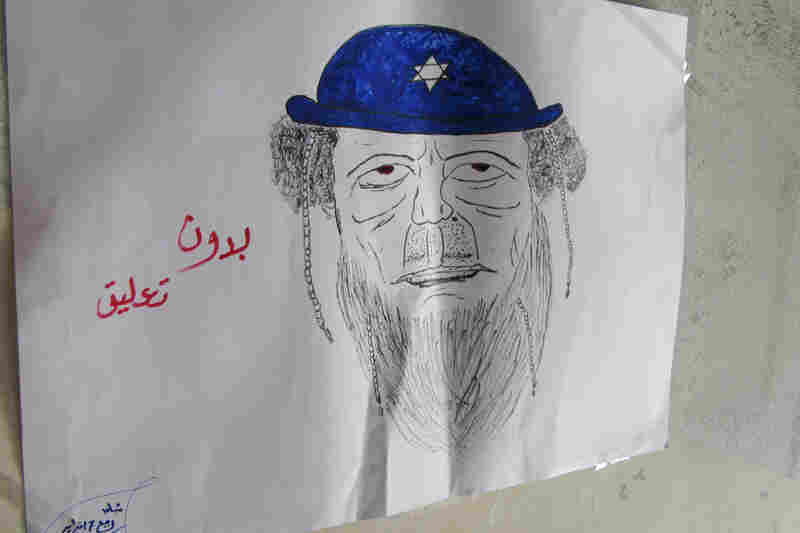 On the second floor, a cottage industry of sorts has developed, producing anti-Moammar Gadhafi posters. The walls are plastered with mainly black and white cartoons of the leader. In one, he's a fanged vampire with bombs and machine guns popping out of the top of his head. 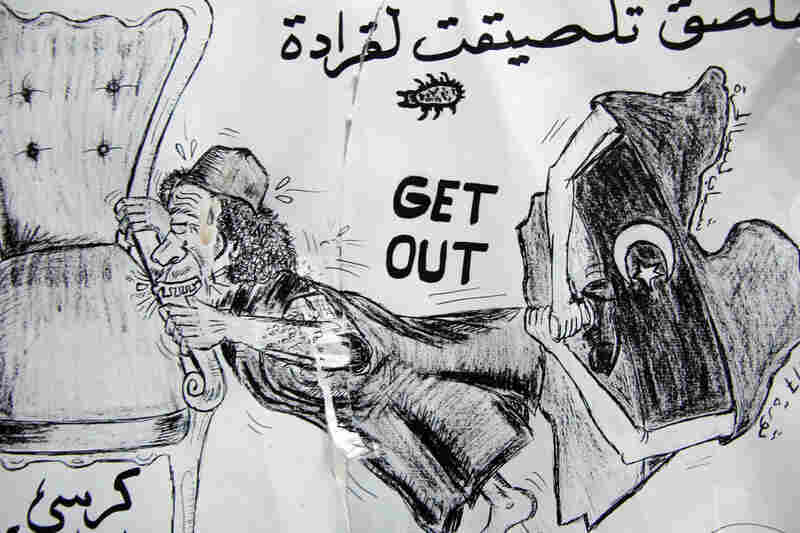 In another, Gadhafi is depicted as a monkey picking lice off a crony. They all ooze vitriol. 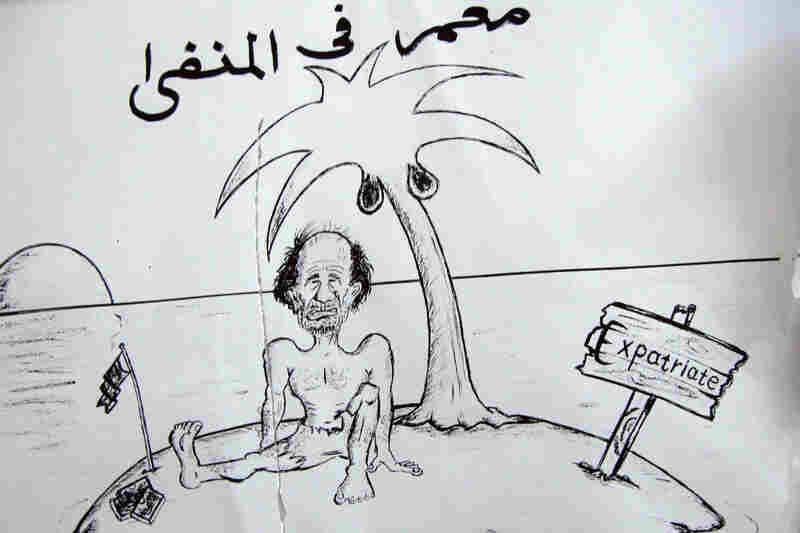 Akram Muhammed el Biriky, 32, one of a cadre of cartoonists working at the center, says he cranks out four to five drawings a day. This afternoon the caricature he's working on presents the dictator in oversize sunglasses dripping blood from the lower half of his body. The artist, sporting a goatee and jean jacket, says he used to draw his sketches at home in secret and then tear them up for fear of being discovered and imprisoned. When things quiet down, Biriky hopes for a career in fashion or interior design — occupations, he says, that were stifled under the old regime. 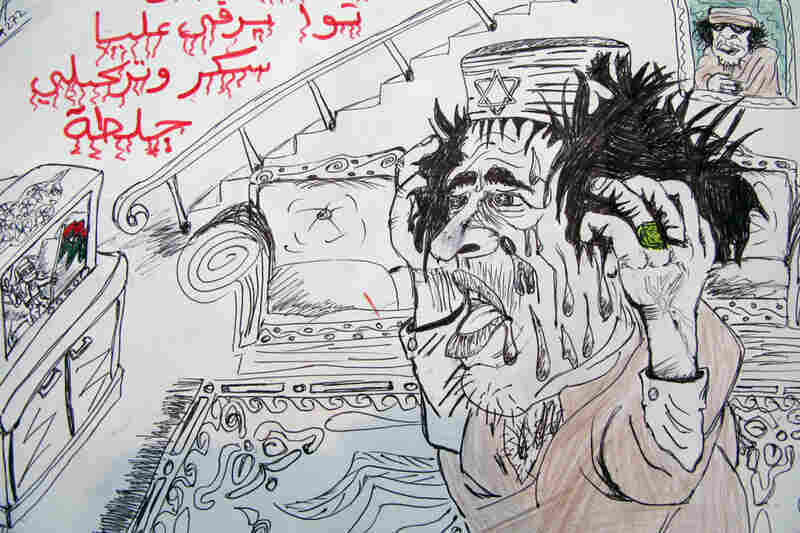 Hovering about in a dark headscarf, Hemy says she tries to make sure that as the artists lampoon Gadhafi, they don't offend any of Libya's tribes. Hemy studied law but says she found her true calling during the uprising that began in February: demonstrating against the regime and admonishing the men to join her. She urged her husband and 17-year-old son to take up arms, telling them if they die, they die as martyrs — and if they live, they live as revolutionaries. Up one more flight of stairs at the Media Center is the rehearsal space for Guys Underground. In a cramped room packed with a drum kit and guitars, the band is polishing its latest download, "Revolution." 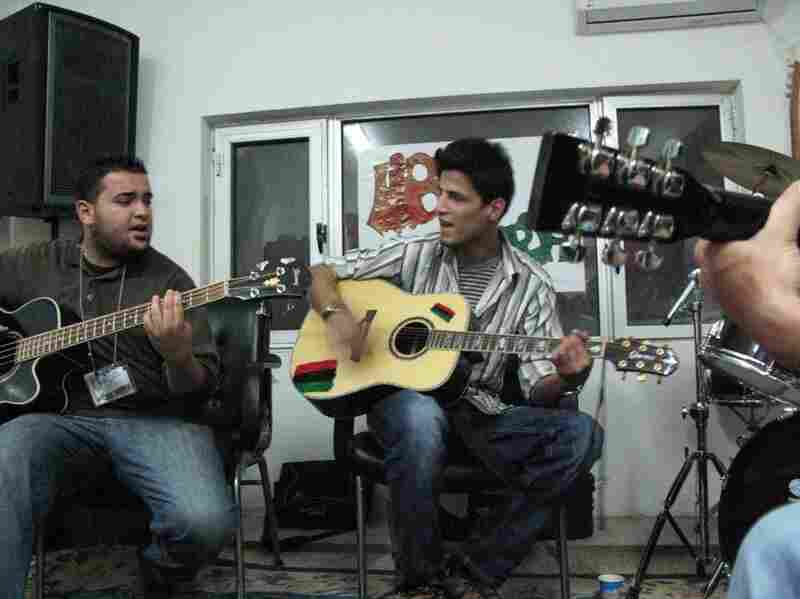 "It was illegal to perform a rock concert here in Libya," says Marwan Fathallah Ghargoum, a medical student and Guys Underground's bass player and songwriter. "You had to get a pass, you had to call somebody and somebody call somebody. It was a 'somebody' system, you know? Before the revolution, you had to think like 100 times before you do anything." Ghargoum says the group, which has been around since 2007, is finally able to express itself the way it wants. 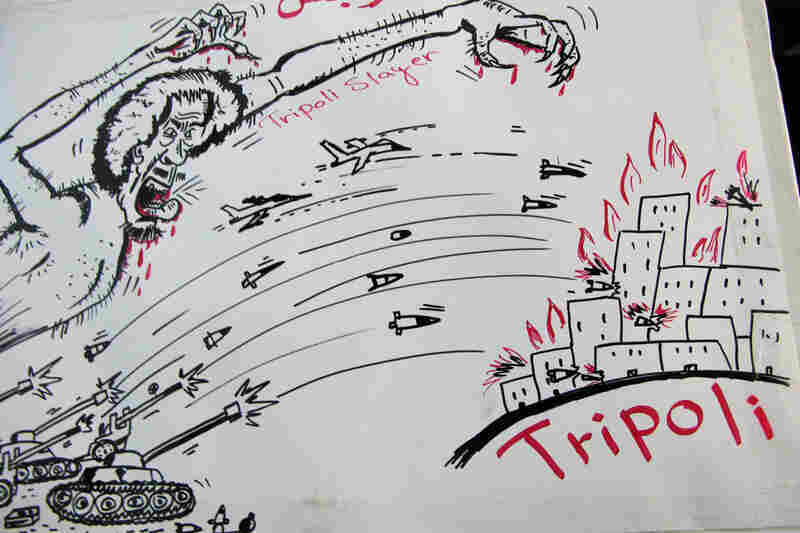 But with family living in dangerous places like Misrata, Zawiya and Tripoli, sometimes he hesitates. "I am very happy. I had a feeling — amazing feeling — I swear never had in my life," Ghargoum says. "Also there's things, that sometimes when I'm talking — I feel afraid about the people, my family in Misrata, and some of them in Zawiya or Tripoli. So I feel afraid about them, because they might kidnap my brother, or do bad things [to] him." Despite the worries, Ghargoum says he and his friends become energized once they set foot in the Media Center. "I finish my work. I start in the morning. I come here," Ghargoum says. "Before we said, 'I'm tired. I have to go home.' But now you go and hang out, you find the painting, the drawing; you find studios; you find the newspaper and all of them doing their work. Even like we stay until 6 a.m. or 7 a.m. and it's OK, because we love what we are doing here." Lately the band has been collaborating with local rap artists, but sometimes they go traditional, bringing in an oud player. Ghargoum says Guys Underground's songs aren't explicitly anti-Gadhafi. Rather, he wants his music, like the upcoming release, "Revolution," to honor people who have died in the uprising and to lift the spirits of those still fighting. 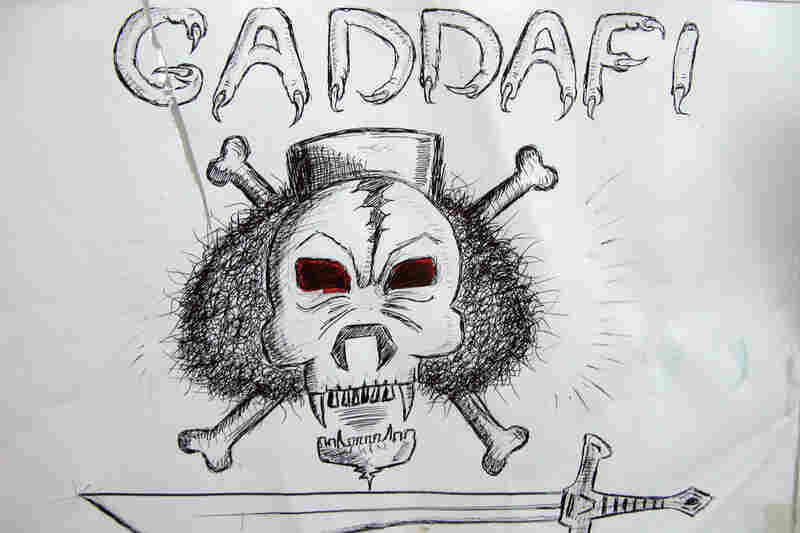 Guys Underground have plans for a big concert, they say — right after Gadhafi is gone from the scene.